Congratulations to Sophie Lamb who has made the England under 18 performance squad in Golf. She will head off next week with the team for a training session and is really looking forward to more training later this year. It will be very focussed and hard, but we know Sophie is up to the challenge! 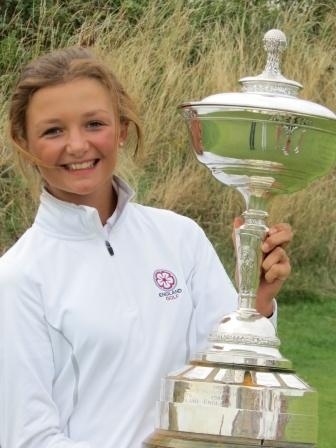 Earlier this year, Sophie helped England win the Home Internationals Trophy at St Anne’s Old Links. Sophie played in all 6 matches and was the highest points scorer for the team. It’s obvious that her hard work has paid off. Well done, Sophie, from everyone at Westholme!